Ron Capshaw offers a good review in National Review of James M. Hutchisson's Ernest Hemingway: A New Life. Norman Mailer once located courage in Ernest Hemingway's manic depression. Proof of this, according to Mailer, was that Papa was able to produce classic works despite daily struggles with that crippling condition. James Hutchisson tales off from that point and advertises that his is the first "balanced" view of Hemingway in years. Others, he argued, have either portrayed the writer as the persona he created for himself - that of a rugged adventurer with a genius for words - or as an alcoholic womanizer. 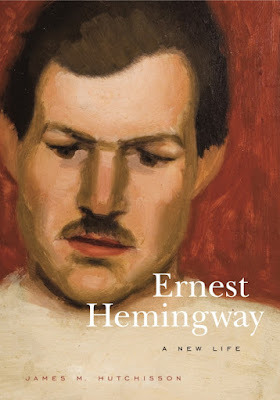 Hutchinsson justifies this latest attempt of explaining Hemingway by announcing that he would view the author's work through several prisms: his medical condition that grew worst over the years (like others, Hutchisson sees an air of inevitability about Hemingway's putting that fatal shotgun in his mouth and pulling the trigger); his obsession with life and death, which was grist to his creative mill; and his relationship with women.